In need of help on the defensive side of the ball, the Cardinals with the 13th pick in Thursday’s NFL Draft snagged Temple linebacker Haason Reddick. Reddick made several NFL visits during the pre-draft process and the Cardinals were the last team he met with. “I knew it,” Reddick said about his selection by Arizona. Having his selection come in Philadelphia made it more special. 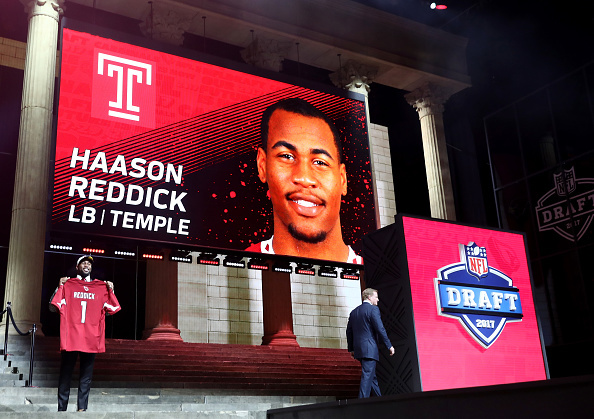 Reddick, who hails from Camden and spent his final two injury-plagued high school seasons at Haddon Heights, said he was considered a third-to-fifth round pick after Temple’s season. Why that was the case is confounding since he set an American Athletic Conference record of 221/2 tackles for losses for an Owls team that went 10-4 and won the league championship. Reddick also added 91/2 sacks as an undersize 6-foot-1, 237-pound defensive end.